One vexing thing about Alzheimer’s, especially in the beginning, is how its effects differ from person to person. The individual you’re caring for might not experience every symptom or behavioral change, and the disease’s timetable can vary. A particular Alzheimer’s stage may last years longer for one person than for another, and symptoms can be experienced at earlier or later stages. Because Alzheimer’s is a progressive disease, however, it always starts with mild symptoms and gradually worsens as time moves on. Memory: Memory lapses are typically the first sign, often years ahead of later symptoms. At this stage, it’s common to forget things more often or have trouble remembering details about even familiar topics. Of special difficulty will be recalling recent events and people met later in life, as well as learning and retaining new information. That’s why asking repetitive questions is a hallmark of the disease, as is writing notes to oneself about things like where the car is parked. It’s also common to repeat comments and stories within minutes without realizing it. At the same time, long-term memory, such as childhood recollections, may remain fairly detailed. Communication and Social Skills: Someone with Alzheimer’s may have trouble finding the right word. Often people in this early Alzheimer’s stage are aware that something is amiss, though they may not be sure what’s wrong. They tend to shy from situations where they feel put on the spot or vulnerable to embarrassing mistakes, such as social outings, time with friends, or even telephone conversations. Everyday Life: At this stage, they’re easily confused and distracted. They may find it hard to keep track of the time and miss appointments or favorite TV programs. Abstract thinking and making sound judgments become more difficult. They may lose the initiative to participate in activities that were once desirable (hobbies, a job) or routine (cooking, writing checks). They may misplace objects regularly or store them in unusual places, then forget where they put them. Personality: Someone at this stage may seem to be acting unlike his or her old self. They may become irritable or angry when disease symptoms are disruptive or embarrassing. Mood swings are common and usually stem from frustration. Other: You’ll notice “good” days where the person you’re concerned about seems unchanged and “bad” days when he or she is having trouble coping — especially in situations that are new, unusual, or otherwise stressful. At this stage, it’s common to get lost, leave a stove burner on, lock one’s self out of the car or house, or experience other such incidents. Interested in learning about Chippewa Valley memory care options? Contact us today. Memory: Repetitive statements and questions are very common and they occur within minutes of each other. Communication and Social Skills: As ongoing memory lapses combine with greater difficulty in tracking conversations and contributing meaningfully to them, some people become more timid socially and more apprehensive about speaking up. Others become less inhibited and demonstrate less tact in social situations. In this Alzheimer’s stage, it becomes common to confuse people, especially if they resemble one another (like a mother and daughter). Cognitive impairment and declining hand coordination affect written communication; someone who once wrote letters and sent birthday cards no longer is interested. 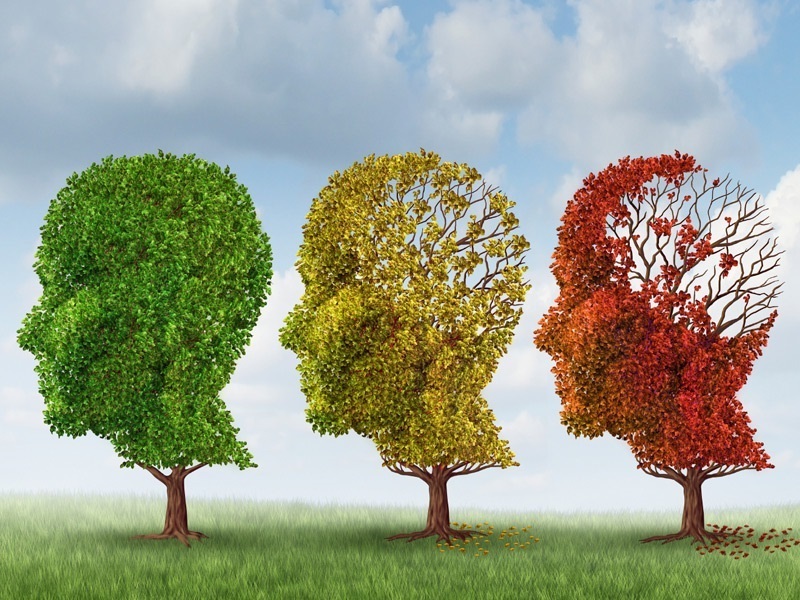 Many middle-stage Alzheimer’s sufferers stop reading. Even previously favorite TV programs may be too hard to follow. Everyday Life: Expect more difficulty with abstract thinking and with making good judgments. He or she may have trouble following written directions, such as cooking from a recipe or filling out a form. (Verbal instructions are more challenging, and problems with them are usually evident earlier). Even routine, familiar activities that involve a sequence of steps, such as brushing one’s teeth or getting dressed, may be difficult to complete. Someone who’s still driving is at increased risk because of disorientation, decreased coordination, problems judging spatial relationships, and slower response times. Failing judgment makes him or her vulnerable to poor decisions regarding safety, health, or finances. Personality: Mood changes and personality alterations become more obvious, especially late in the day or when he or she is tired. They may become distrustful of loved ones, including you, or they may make unfounded accusations. Anxiety is common and is sometimes expressed by rummaging through drawers, aggressive behavior, yelling, or wandering through or away from the house. Hallucinations or delusions occur. Depression is a risk, often characterized by changes in appetite and sleep habits (he or she may be a lot hungrier or less hungry than usual, for example…or sleep much more or less than usual. Other: During middle-stage Alzheimer’s, it’s common to get disoriented in familiar environments as well as unfamiliar ones. Unplanned or new activities can be especially troubling. The sense of smell may be less sensitive, and incontinence becomes more common. By this final Alzheimer’s stage, it’s common to be bedridden and completely dependent on others, as the person can no longer reason or manage the most basic self-care. Memory: As memory problems worsen, they begin to affect recollections from even the distant past. He or she may no longer recognize even close family members, including a spouse or children. He or she may not even recognize his or her own self when looking at photos or in the mirror and may consistently forget to take medicine and do everyday tasks like tooth brushing. Communication and Social Skills: As language skills decline, many people at this stage speak nonsensically. They may make strange sounds, hum, or moan. Or they might cease to speak altogether. It’s likely by now that the person you’re caring for is quite socially withdrawn and has abandoned many previously enjoyed and familiar activities. Everyday Life: Even relatively simple, necessary activities, such as eating and taking care of personal hygiene, require assistance. Both gross motor skills, (walking and sitting up) and fine motor skills (buttoning a shirt, holding a spoon) are affected. Falls and injuries are a risk as coordination and depth perception decline. Repetitive movements and actions are common. Someone at this stage spends a lot of time sleeping. Personality: Because the changes have become so marked, he or she may seem nothing like his or her old self. Sometimes jolly people turn crotchety, while formerly stern people may become docile and benign. By the last stages of Alzheimer’s, many people express no emotions at all. Other: Monitoring health, nutrition, and safety, as well as general caretaking, is now a round-the-clock task. He or she may lose significant weight (because eating is difficult) and acquire infections or fall ill easily (because of general weakness). People weakened by this final Alzheimer’s stage more often die from another health problem (pneumonia, secondary infection, cancer) than they do from Alzheimer’s itself.